Mayeri Industries is the largest manufacturer of washing and cleaning products In the Baltic States. Main target market for our products is the Baltic Sea region. Mayeri’s business philosophy is to produce washing, cleaning and hygiene products, which are effective, but safe for humans and the environment. Products of Mayeri are nature friendly, harmless to humans and wildlife, and sustainable for fabrics and surfaces to be cleaned, but they are effective, in order to get the job done. Hence our mission: to contribute to the maintenance of cleanliness of the Baltic Sea and the Baltic region through the production of environmentally friendly products. The slogan “balance with nature” reflects our vision of responsible production. We believe that the washing and cleaning products can be produced without affecting the natural environment negatively. Also, the products must have a minimum environmental impact during their consumption and circulation phases. It is not possible to achieve everything at once – the implementation of advanced technology is expensive. However, moving step by step towards cleaner production and sustainable products, we move closer to the balance with every day. And we do this with our consumers who appreciate the same values and believe in our products. 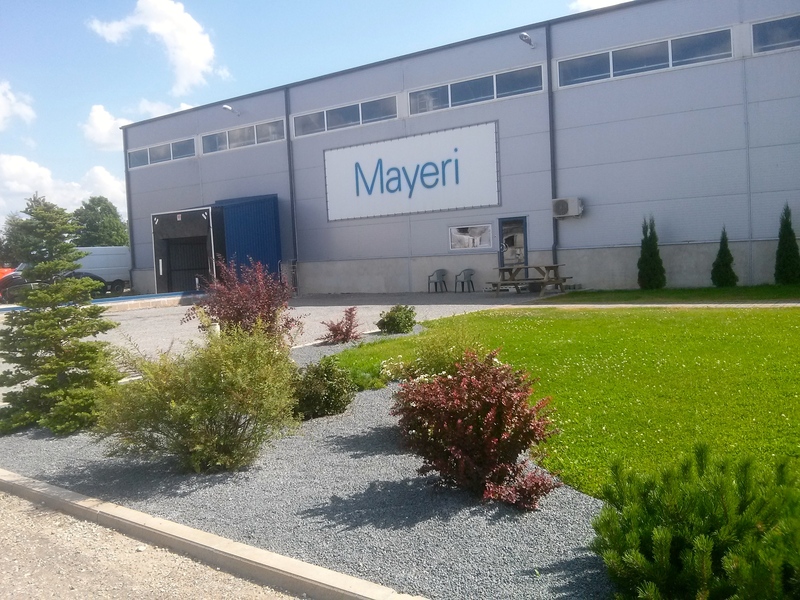 Mayer’s roots stretch back to 1889, when the Baltic German Richard Mayer founded in Estonia the first chemical factory in the Baltic countries. Product development process draws inspiration from nature and we value actions that are in balance with nature.